The first aeronautical organizations in Macedonia were founded in 1923 in Skopje and Strumica. The first air show took place in fall 1926 on a nearby hill in Skopje, called Zajchev Rid. The first meeting of the Founding assembly of the Aeronautical society was held on 15th of January 1945. In the same year two gliders of the type “Ciling” were produced in the renewed aeronautical workshop. In April 1946 the Macedonian Government made a decision to establish a gliding union of Macedonia which later grows in to a State committee for aeronautics. The Aeronautical centre of the Republic was founded 1951. The centre had 30 gliders, 150 parachutes and 19 airplanes. The first Macedonian glider “Ilindenka” was constructed in 1955. ”Ilindenka” participated in many international contests in that period. The period between 1951 and 1956 was the “Golden age” for the development of aeronautics in Macedonia. Over 1800 modelers, 842 glider pilots, 222 airplane pilots and 85 instructors from all aeronautical branches were trained in that period. With its organization and activities AFM includes: Aeronautical and rocket modeling, gliding, airplane flying, parachuting, ballooning, paragliding, hang-gliding, ultra-light airplane flying and airplane construction. The AFM participates in the organization of the state and international contests, aeronautical happenings for popularization of the aeronautical sports, selection and preparation of the athletes for participation in international contests. The sport clubs which are members of the AFM work on selection, education and training of young people for the aeronautical sports, for the needs of commercial aviation, the Armed forces, the police and the government of the Republic of Macedonia. 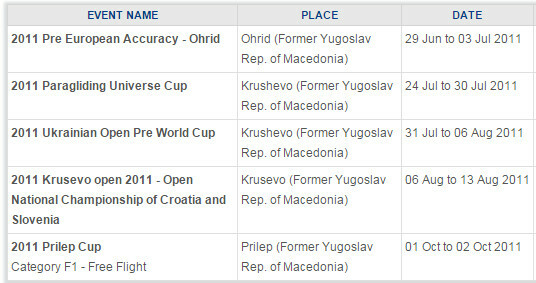 The AFM with its members has five sport aero fields in Skopje, Kumanovo, Shtip, Prilep and Bitola. 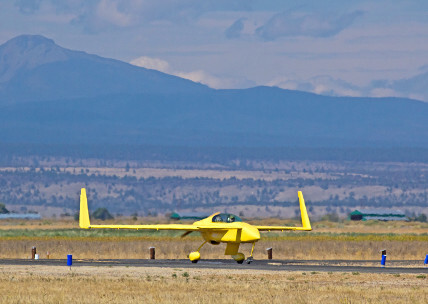 These five Aero clubs provide training of rocket and aeronautical modelers, glider pilots, skydivers and airplane pilots. The paragliding and hang gliding pilots are trained in the few PG and HG clubs that are members of the AFM. Our pilots are among the Top 10 places in the following disciplines: paragliding and aeronautical and rocket modeling, according FAI rankings. Aeronautical Federation of Macedonia has proved its ability to organize highly successful events of different FAI classes.